After years in the restaurant business and undertaking the renovation of several historic homes in New Braunfels, we decided to combine our eclectic blend of experiences and try constructing and operating a restaurant of our own. Aside from wanting to establish a creative and comfortable space, we wanted to draw from the diverse cultural and culinary influences of the Texas Hill Country for a fresh, new dining experience. We pinned our dreams on a small building that had more holes in its walls than wall, little street presence and the charm of an active railroad track fifteen feet away. But the space had lots of history. Originally built in the 1920’s, during the 1930’s it was a storage shed for the A-Cafe Restaurant located in the larger building facing San Antonio Street. It was a residence during the 40’s, and Schmaltze’s Chili Bowl from the 1950’s, followed by Roma’s Chili Bowl. Roma’s served what was considered the best chili in town, providing lunches to Mill Street High School students and railroad crews alike. A progression of other restaurants in the building served up Greek, Chinese and Mexican food. One year it was the site of the local Jaycees’s Halloween Haunted House, and it has also been used as a feed store and an antique shop. We spent a lot of time extensively renovating the building. If you are curious, the room with the leaping cat painting constituted the entire original dining room. 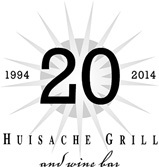 The Huisache Grill opened its doors in October 1994, though that turned out to be just the beginning of a long-term, multi-faceted project. It quickly became apparent that we would need to expand the restaurant. 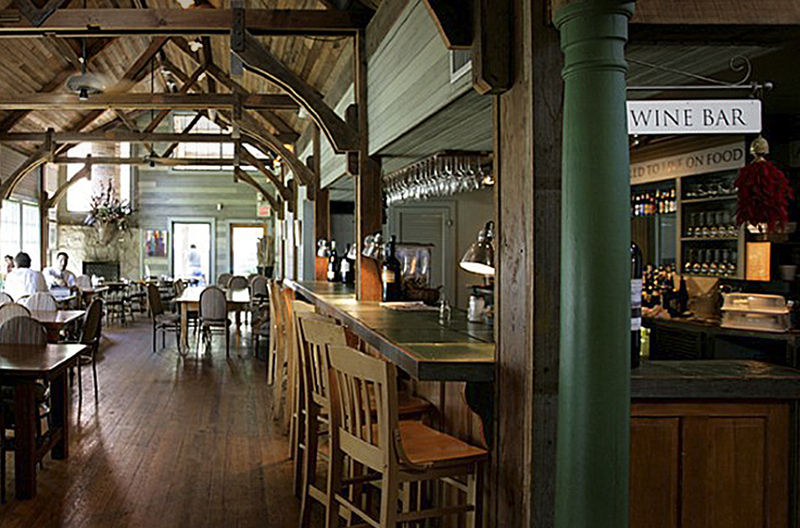 A year-long project was finished in 1999 that transformed the restaurant. A new dining area offered a soaring ceiling and a fireplace. 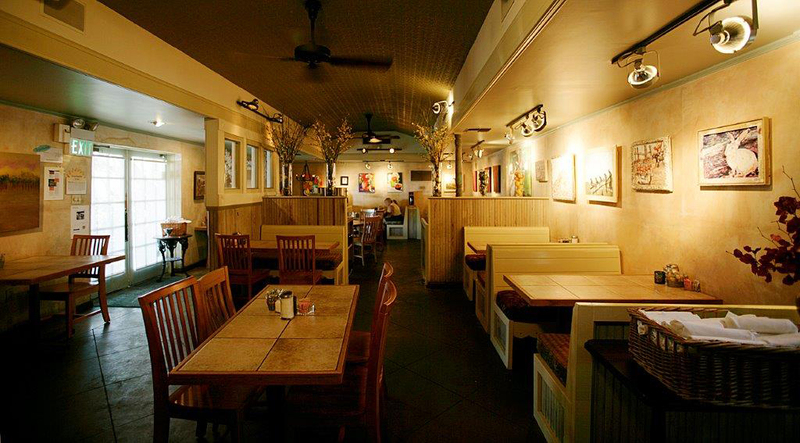 The Tietze Cabinet Shop, circa 1887, was renovated an incorporated into the dining operations. The kitchen was expanded and a new, large bar was created. The day we finally opened the wall between the tow spaces was exciting for all, but probably more so for the staff who finally had elbow -room for food prep and service. Continued success brought about the need for an expanded vision. 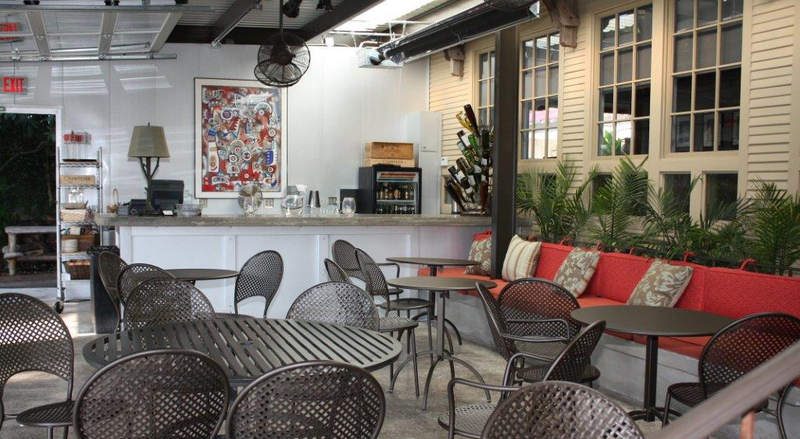 Late in 2007 we added a new area that acts as an outdoor living room, offering a comfortable area for guests waiting for open tables or simply lounging. A second bar serves up appetizers, beer and wine. The unique, contemporary space features a series of rolling doors allowing us to open the entire south wall when the weather is inviting. 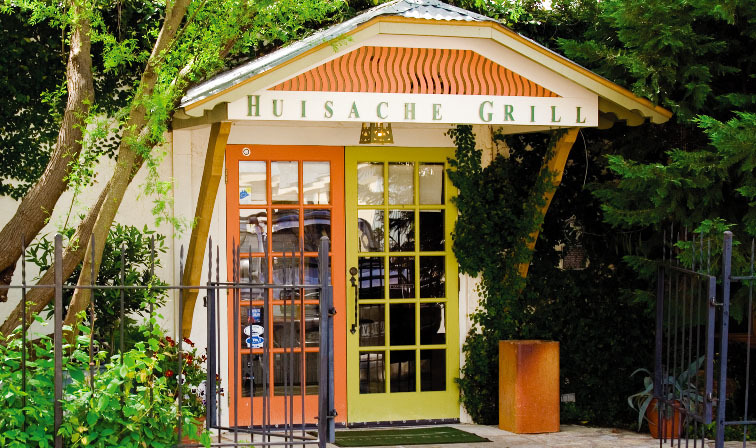 While the Huisache Grill has been the focus of our energies, we found time for renovating buildings and creating retail space on what was the old Tietze family homestead. We relocated and restored historic buildings to in-fill the area and created a pedestrian zone. The Holz Building along San Antonio Street was extensively reworked. That Building has quite a history itself. In addition to the previously mentioned A-Cafe Restaurant, it alternately has been an early Western Union office, a Western Auto store, a ballet studio, a Harley Davidson showroom and even a bookie joint. We gained both another retail venue and parking space with the purchase of the original 1940’s Wuest’s Grocery Store building. With businesses stretching from the north side of San Antonio Street to south of Cross Street, we decided it was time to label the entire complex. And thus ‘Grassmarket’ was conceived. 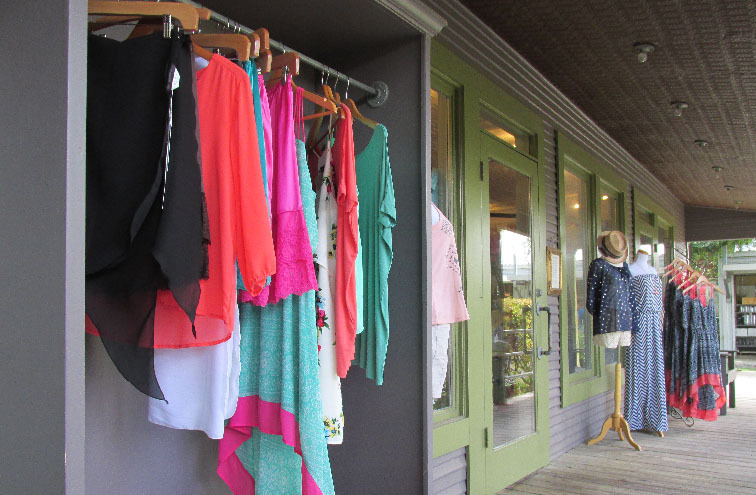 In addition to the Huisache Grill, the businesses of Princess Be, The Potting Shed, Bisque Bistro, Duckworth Violin, Vanguard Health Systems, Kitchy Chicks Kitchen Boutique, the Crossing and The Art Cottage add to the exciting dynamic of Grassmarket. We, along with the staff and all the merchants, are proud of this dining and shopping destination in Historic downtown New Braunfels. We hope you enjoy your visit and come back often to see what new things we have cooked up.